Enterprise Value, or EV for short, is a measure of a company's total value, often used as a more comprehensive alternative to equity market capitalization. The market capitalization of a company is simply its share price multiplied by the number of shares a company has outstanding. 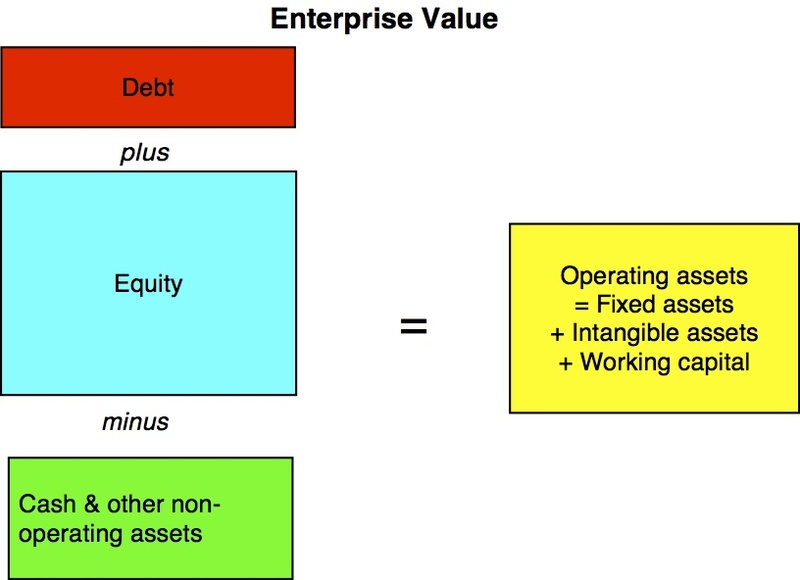 Enterprise value is calculated as the market capitalization plus debt, minority interest and preferred shares, minus total cash and cash equivalents. Often times, the minority interest and preferred equity is effectively zero, although this need not be the case. EV = market value of common stock + market value of preferred equity + market value of debt + minority interest - cash and investments. A contract between a city, a county and/or a special district in which the city or county agrees to perform services, cooperate with, or lend its powers to the special district or other government entity.